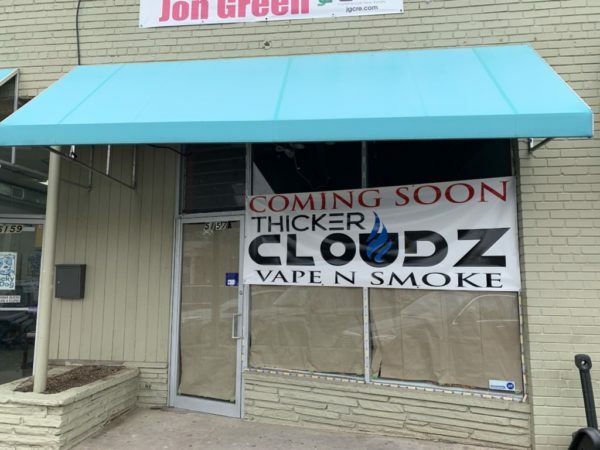 A new shop offering up e-cigarettes and other tobacco products looks bound for a Lee Highway shopping center. Thicker Cloudz Vape ‘N Smoke is “coming soon” to a space at 5157 Lee Highway, according to signs posted at the location. The shop doesn’t appear to have an online presence of any kind just yet, but county permit records show that its owners first applied for permission to open up in the space back in mid-January. The store, located in the same shopping center as Preston’s Pharmacy and several other small shops, has seen quite a bit of turnover in the past few years. County records show that it’s been home to everything from an Indian restaurant to a cell phone store dating back to 2015.